Frank Baines is a well respected brand made in England. They offer a wide range of saddles from modern close contact to deep seated dressage and almost everything in-between including endurance and polo models. 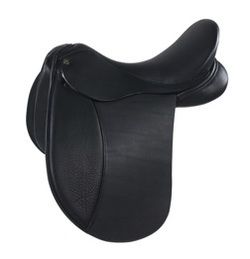 They are famous for their quality, keep many saddles in stock for quick delivery and are reasonably priced. Please note below is only a selection of their entire line of saddles. 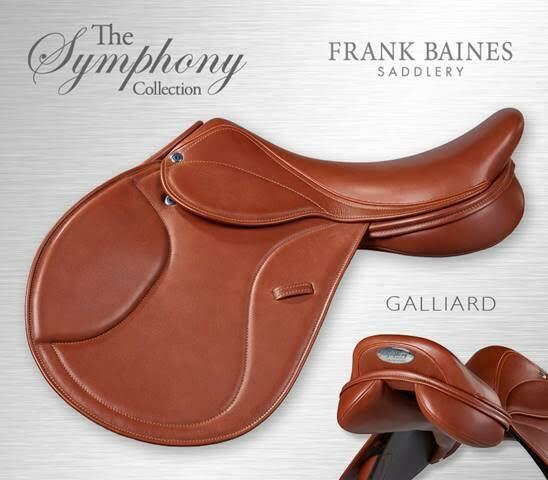 Any saddle from Frank Baines can be ordered to your specifications. Prices subject to change and represent the base model price some customization options cost extra. The saddle is designed for a high, long wither with a flat back and has a wide channel to allow for excellent clearance of the spine and wide panels to enable the weight of the rider to be evenly distributed. The Drop Stitch line allows for more clearance in the head for a high wither. The Etude saddle comes with a plain or calf skin covered flap and skirt, a mono flap and the Standard design comes with a high thigh block. Other block options available include: O Block / CDG Block / CDC Block. The design also includes a wool-flocked panel. Made on our most popular Dressage tree to allow good clearance of the horses withers and is open to allow free movement of the horses shoulders and spine. 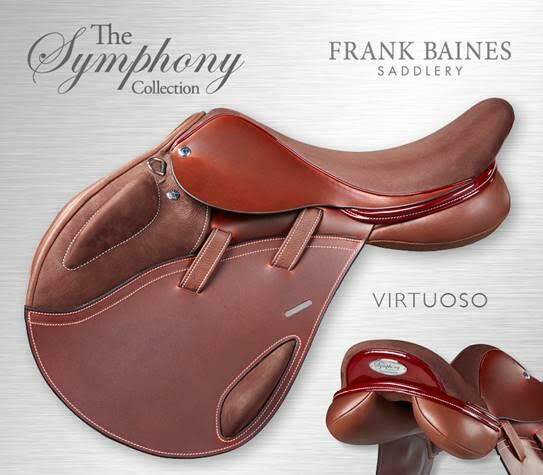 The soprano is an updated single flap Dressage saddle with an exterior knee block fitted on top of the flap. The Soprano incorporates a new designed flap and skirt which is covered in leather and includes an extra soft seat. The new design of the flap enables us to offer a choice of Blocks. The Standard model is fitted with the G Block, but other block options available are: CDG and O Block. The Elegance is the ultimate choice of Dressage Saddle and has been developed to maximize the comfort for the horse, while assisting the rider to achieve perfect balance, close contact and harmony. The Elegance Dressage offers all the key features needed to compete at world class level. Based on a specially designed tree, the Elegance gives good clearance of the withers and is open to allow free movement of the shoulder and spine. This together with the new special panel system enables the rider to have excellent close contact with the horse. A narrow waist and carefully angled tree, combined with an extra soft deep seat and extended stirrup bars places the rider in an upright position and allows balanced seat pressure to drive the horse and enable the rider to have the finest control. The Frank Baines custom manufacturing facility gives the rider the option to alter the balance points from forward to centre, while a V girthing arrangement minimizes movement. Optional sizes of knee blocks and a choice of three different flap lengths to suit varying leg lenghts allows the rider to select a saddle that best fits them aswell as the horse. Developed specifically for the Jumping discipline. Utilising core design elements from our most popular saddles we have incorporated additional enhancements to deliver exceptional performance in the exacting discipline of Jumping. The Galliard saddle comprises a full covered flap and skirt made from luxury calf leather encouraging a close contact feel. Made on a Laminated Beech wood tree with a medium depth tree and extra soft seat. Having successfully used the EXP (extended point system) in our Classic range to disperse pressure, distribute weight and also improve comfort for the horse, particularly when landing from a jump, it has been included in all our Jumping & Event models. Wool flocked Panels with a full front gusset and the option of a ¾ gusset are available with Velcro knee and thigh blocks for easy adjustment to the rider’s preferences. Utilising core design elements from our most popular eventing saddles we have incorporated additional enhancements to deliver exceptional performance in the exacting disciplines of Eventing. A beautifully crafted Saddle made with a calf skin covered flap and skirt. The knee pad is moulded around the fixed knee block to give instant shape and support to the rider’s leg. Using a Laminated Beech wood tree with an open, extra soft, medium supportive seat allows for added security for the rider in the seat. Styled like the edessa this saddle has a narrow waisted, wide seated tree, enables the rider to maintain perfect balance and control of the horse throughout. 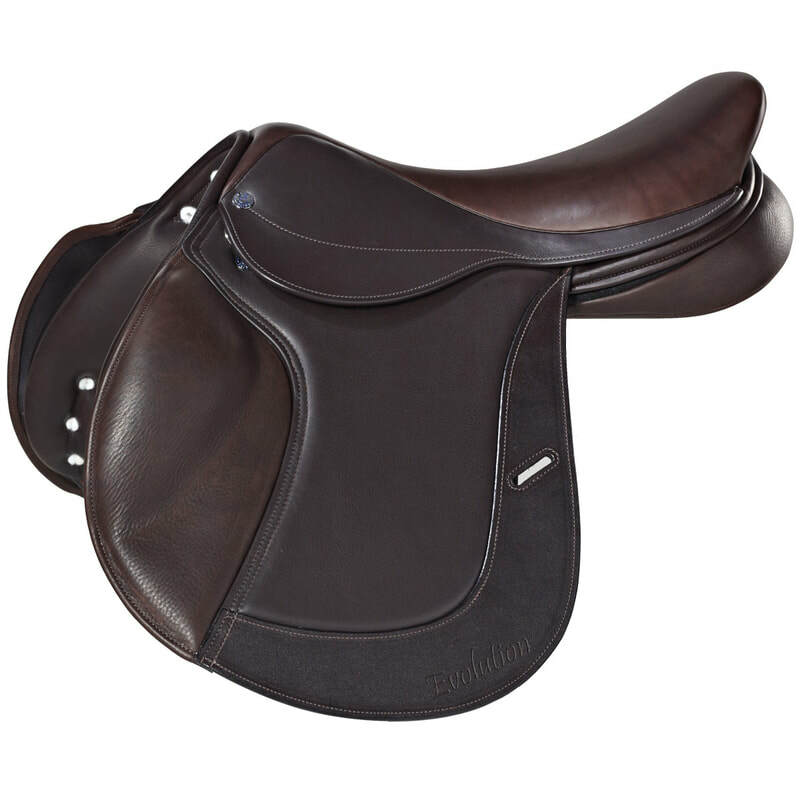 The Adagio saddle has been designed specifically for the Dressage discipline with a more contemporary look. 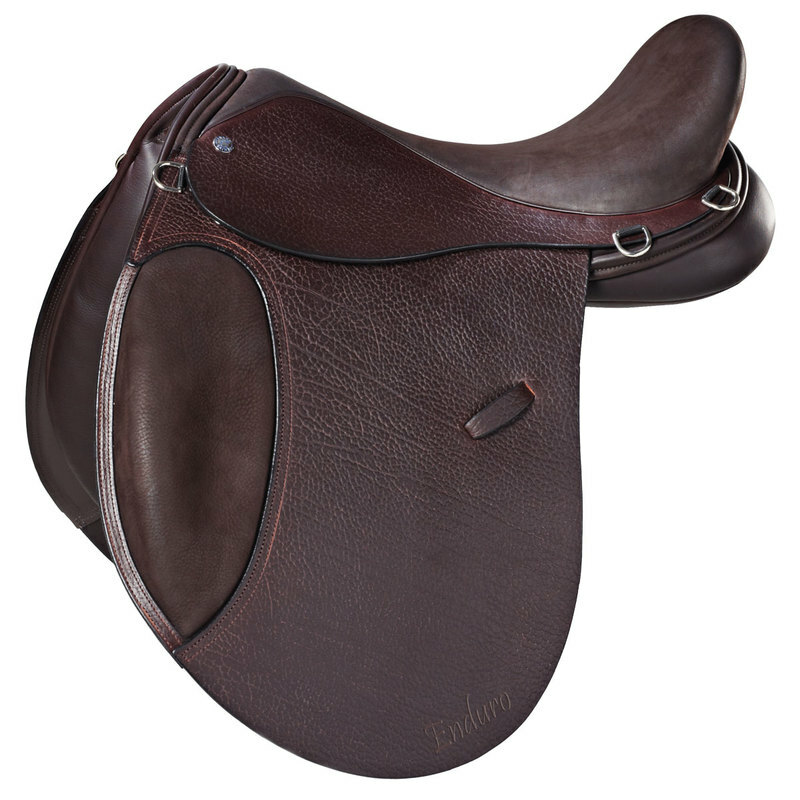 The Adagio saddle delivers exceptional performance within a modern design. 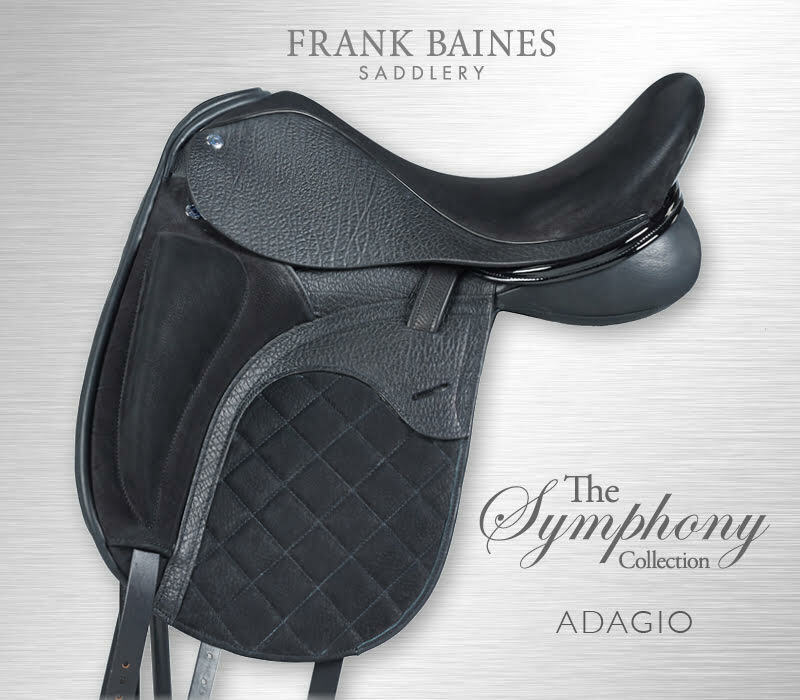 The Adagio has a Mono flap to provide close contact between the horse and rider, and a large block securing the riders position allowing for a straighter leg. Built on a Laminated Beech wood tree with a round cantle and medium twist, it has a medium depth seat resulting in an accurate and secure riding position. A Nubuck seat and thigh area as standard, with the option of Bison or soft covered hide skirts. 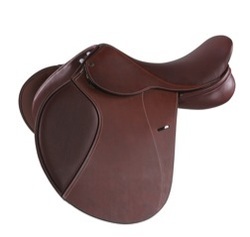 A padded, quilted flap also gives the rider extra comfort and style. Wool flocked panels provide better fitting and adjustability for the horse. With a full front gusset as standard or ¾ front gusset as optional and a generous gullet to minimise pressure on the horse’s spine. A concealed girth arrangement with point strap secures the front of the saddle. More traditional styling available too. The Reflex Close Contact Saddle is designed to meet the exacting demands of Show Jumpers and Event Riders alike. The Reflex system has been researched and developed over a number of years and thoroughly tested by several leading competitive riders both home and abroad, continuing our reputation for innovation. The Reflex has been designed to combine two key features which are essential for today’s riders, a more softly padded comfortable seat that is slightly wider than normal allows excellent balance for the rider and secondly the EXP system enabling a greater bearing surface for the horse. The EXP is a design of Frank Baines that allows a larger bearing surface thus distributing the weight and pressure of the rider from the point, which drastically improves the comfort for the horse, in particular landing from a jump. The Reflex comes as standard with Velcro Knee and Thigh blocks to allow you to customize the saddle and reposition the blocks to suit. ​Also available in a monoflap version. 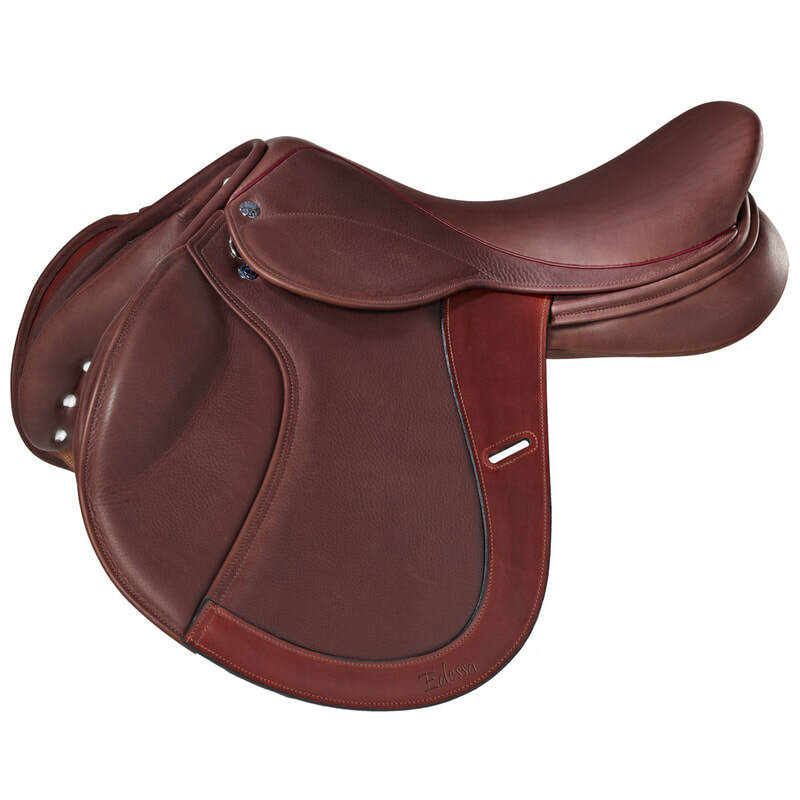 The Enduro model provides excellent comfort for both horse and rider. The specially designed tree is made with an open head and narrow waist and designed with broader panels to help distribute the rider’s weight evenly. With excellent bearing surface plus a close contact feel and combined with soft wool flocking, this model provides superb comfort for the horse and rider. A cut back head prevents impact on the wither and a wider than usual gullet increases air flow, reducing fatigue and overheating. The deep comfortable soft seat, together with the extended flaps, allow you to ride long and balanced even over the toughest terrain. Endurance and Competitive riders will recognise this saddle as having all the required features.